Angele Bisaillon thought her computer was hit with an annoying virus when a pop-up dialogue box appeared on the Montreal resident's screen telling her to cough up cash if she ever wanted to see her photos again. Angele Bisaillon thought her computer was hit with an annoying virus when a pop-up dialogue box appeared on her screen telling her to cough up cash if she ever wanted to see her photos again. The box told the Montreal South Shore resident that her files had been encrypted and she would need to pay three bitcoins — the equivalent of about $1,500 — if she wanted the videos and photos of her child and family back. Bitcoin is a form of digital currency that is traded online for various goods and services. Bisaillon and her partner brought the computer to a repair shop for advice, and were told it was a legitimate hostage situation. Bitcoin is a form of digital currency that is unregulated in Canada. The computer repair person helped them pay the ransom in bitcoin. But then they were met with an unexpected second ransom note. Bisaillon told CBC Montreal's Daybreak on Thursday that there was a double encryption on her files and she would need to pay another two bitcoins (approximately $1,000) to unlock her files completely. When all was said and done, she and her partner had paid $2,500 — and they didn't even get their photos back. "I was really sad, because I think it's just so unfair," Bisaillon said. The photos, she added, were priceless to her. "They're making a lot of money on very private stuff that you do want to get back," she said. She said she's doubtful the perpetrators will ever be found, since they could be operating the scam from anywhere in the world. Bisaillon's situation is just one of many making the rounds around the country. According to data from the Canadian Anti-Fraud Centre, people in Ontario and Quebec are forking over up to four times more than individuals in other provinces in similar cases. 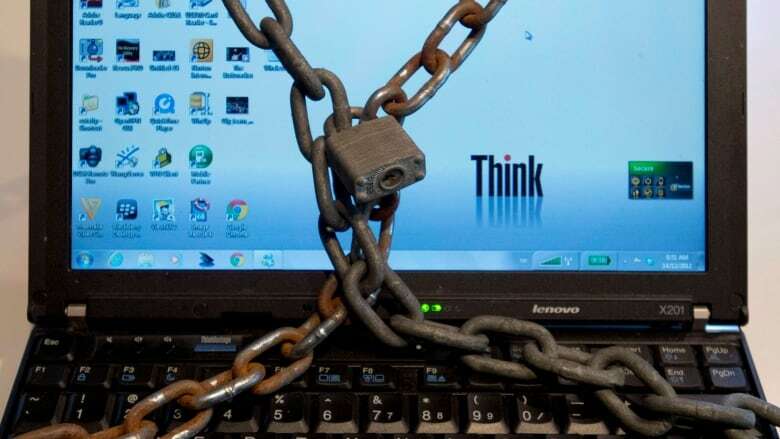 Pascal Fortin of IT security firm GoSecure told Daybreak that hackers often access people's computers by hiding malware like Cryptowall and CryptoLocker in files on free TV-watching sites. "It's a criminal use of good technology," he said. Back your files up often, but be careful! External hard drives: Don't leave an external hard drive connected to your computer all the time because the files on it can be corrupted or encrypted, too. If your computer has been infected, don't plug your external hard drive back in until you're certain your computer is free of the malware. Cloud: Backing up to the cloud is good, but Fortin says that if you leave the synchronization function on all the time, you're inviting the malware in. Turning off the synchronization automation is a wise move, he says. If you think your computer has been infected, bring your external hard drive to someone who can create a copy of it, just in case. Don't click on sketchy links and avoid free TV-watching sites, or at least be aware that you're taking a risk when you do. "Typically malware is distributed through web browsing activities," he says. Apple computers aren't better protected than PCs — there are just fewer of them in the world, so bad hackers don't tend to focus their efforts on creating Mac viruses. The Canadian Anti-Fraud Centre also has helpful tips here.